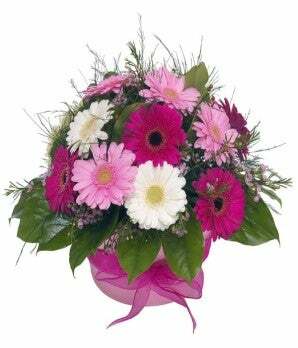 A charming arrangement of pink and white Mini Gerbera in a modern container. The perfect floral gift for anyone who loves pink! Delivered by hand in a modern colorful vase with decorative ribbon.